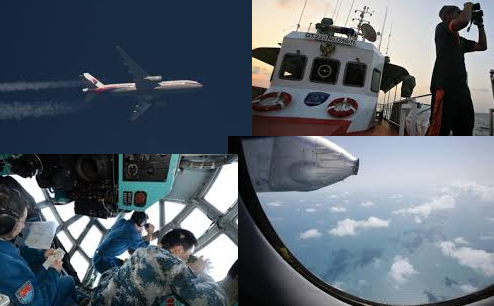 March 15, 2014, the news was published and the missing Malaysia Airlines Flight MH370 was intentionally switched off its communications and changed its course by someone a "skilled, competent" on board before the aircraft disappeared a week ago as said by senior Malaysian military official said Saturday as Prime Minister Najib Razak prepared to address the nation. According to Malaysian military radar data that investigators believe indicate the Boeing 777 may have forcefully changed course and headed northwest towards the Indian Ocean. Based on Prime Minister Najib Razak told a nationally televised press conference that the final satellite communication with the Boeing 777 flying from Kuala Lumpur to Beijing came more than 6.5 hours after it was gone from civilian radar at 1:30am on March 8, 2014. This all are based on the ABS-CBN News. The said missing Airplane turned back and flew again in a westerly direction back over peninsular Malaysia before turning northwest. As the experts had located the last point of communication on the jet inside one of two large geographical corridors. First was on northern corridor stretching from the border of Kazakhstan and Turkmenistan to northern Thailand. Second was on southern corridor stretching from Indonesia to the southern Indian ocean. These are just calculations of experts based on gathered information about the airplane. The search operation that was being done on South China Sea was ended as Najib told reporters and posted on ABS-CBN News. We are all waiting for the progress of the search operation with the missing Malaysia Airlines Flight MH370 with total passengers of 239 including crews. Hoping that they are all safe and will be rescued as soon as possible. Even though airplane hijacked was not jet proven as the investigation is still on progress, lets hope it is not. Updates will be posted on our future blog post, so keep updated, Thanks.